While football was originally how the world got to know him, Tim Tebow has made a bigger name for himself in the past year through his speaking arrangements at churches across the country. He has been regarded for his strength of faith, but many have also attached a target to his back and complained about his engagement with religion and its overflow into his media coverage. 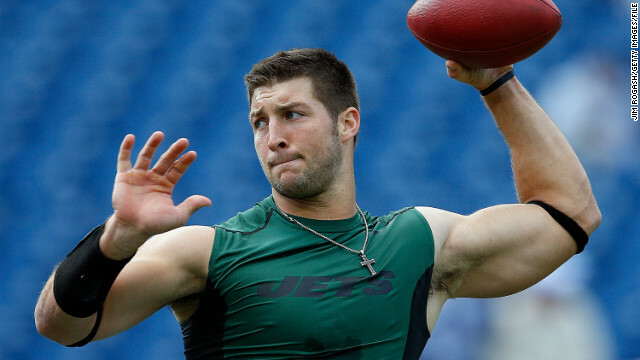 Tebow appears to be an honest Christian and the media is more of a side effect of his presence in the spotlight. I believe that he takes a lot of flack for no real reason. I do not have to agree with his line of faith to respect him for his devotion to it. Now he has found himself in a situation where his speaking engagements have people questioning his faith yet again. He has gone to a number of churches that have identities for spouting out disapproval for and anger toward groups different from them. In particular, some of these churches have expressed very vocal opposition toward the LGBT community, Mormonism and the Muslim faith. When some of these concerns arose for a scheduled church appearance for April, the NFL was getting worried and Tebow had to make a tough decision. Although his speeches have focused on the qualities of being a good Christian, it was too much to continue keeping it on his schedule. I applaud Tebow for making a good choice with how he wants to represent himself, but I think there may have also been some pressure from a couple outside sources that pushed him out of the engagement. As I said, I believe that he is honestly focused on good faith elements, but it has not stopped him from speaking at churches that have some hateful reputations. Whether he ever gets another chance to make an impact in the NFL will remain to be seen, but he has a chance to become quite the motivation speaker and just needs to take more of an effort to take better care of his reputation before he loses the innocence he has maintained up to this point.